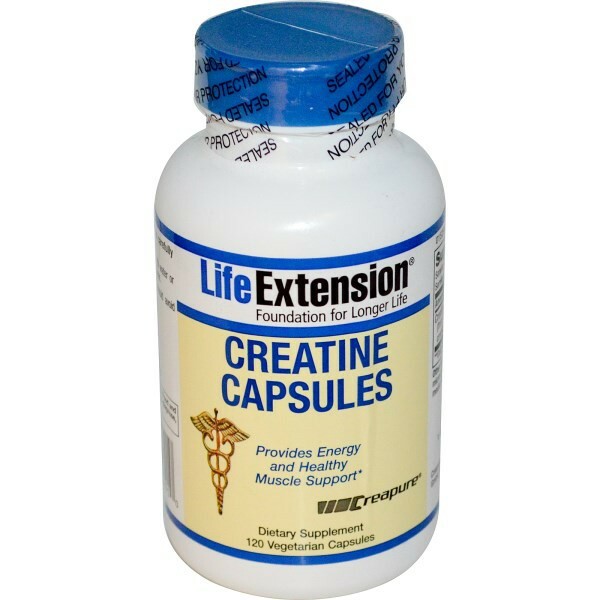 Creatine is naturally produced in the human body from amino acids L-arginine, glycine, and L-methionine primarily in the kidney and liver and transported in the blood to help supply energy to all cells in the body. Creatine is metabolized into phosphocreatine, an important storage form used by the brain, heart, and skeletal muscles. 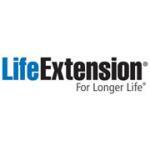 In normal healthy individuals, muscle creatine is replenished at a rate of approximately two grams a day. Oral ingestion of creatine has been shown to suppress the body's natural production, an effect that has been shown to be reversed upon ceasing supplementation. Creatine exerts various effects upon entering the muscle. It is these effects that elicit improvements in exercise performance and may be responsible for the improvements of muscle function and energy metabolism seen under certain conditions. Creatine monohydrate has become popular with athletes, but it may also be beneficial for people who are nutritionally deficient, have conditions associated with low cellular energy, muscle weakness, and those concerned with the muscular integrity of the heart. 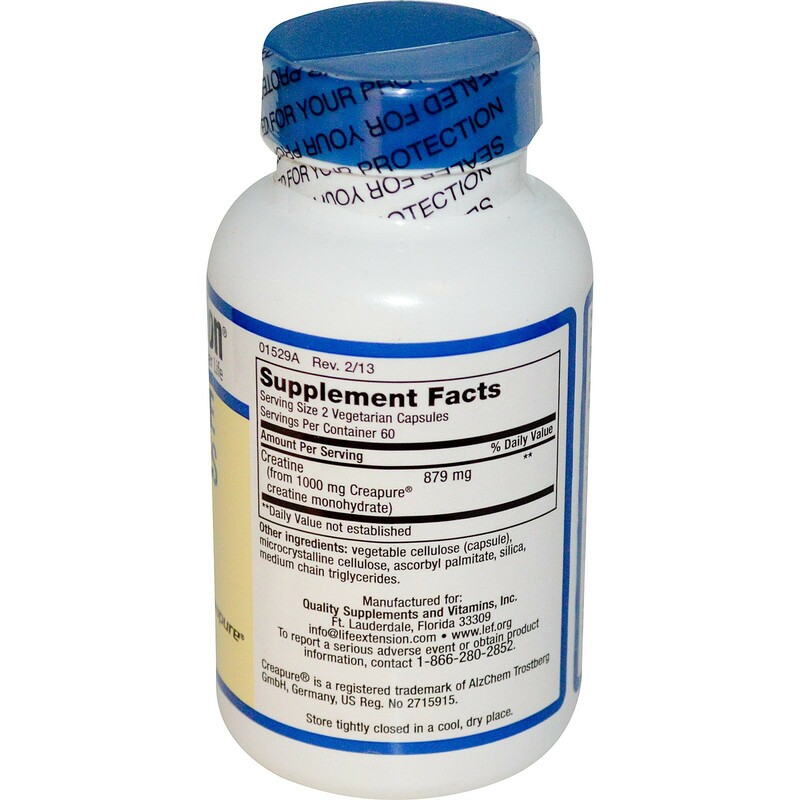 Each creatine capsule supplies 500 mg of easily-absorbed creatine monohydrate. Read the entire label and follow the directions carefully prior to use. Take two (2) capsules twice daily with water or juice. Store tightly closed in a cool, dry place. 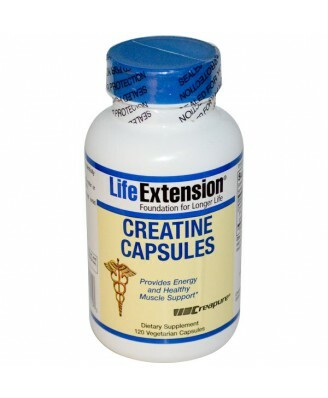 Caution: Those with impaired kidney function should avoid creatine supplements. Keep out of reach of children. Do not exceed recommended dose.